The Academic Honor Council believes that personal integrity is the foundation of a reputable academic community. Therefore we engage in unique training retreats designed to incorporate ethical practices into our inclusive educational outreach, unbiased adjudication process, and restorative sanctioning practices. We recognize that being involved in a report of suspected academic dishonesty can be an emotionally charged and complicated experience for all individuals involved. 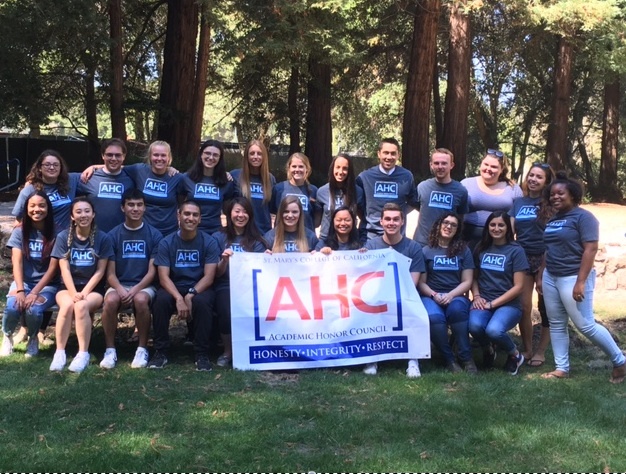 Therefore, all parties receive personal and confidential support from an unbiased member of the AHC. These mentors are trained to mentor students through the entire process. In addition, the as an academic integrity counselor, the AHC Coordinator is available as a resources well. Students who are found in violation are required to successfully complete the AHC "Integrity Seminar". This seminar utilizes a trauma-informed approach, group counseling components, and solution-focused curriculum to enable peer-to-peer learning. The learning outcome is for students to define their personal integrity in order to move forward in a positive direction.